My first thought was Ouch! But I think he's getting more of a slurp than a bite! Happy Wednesday! Aww, a double attack! Sweet picture. 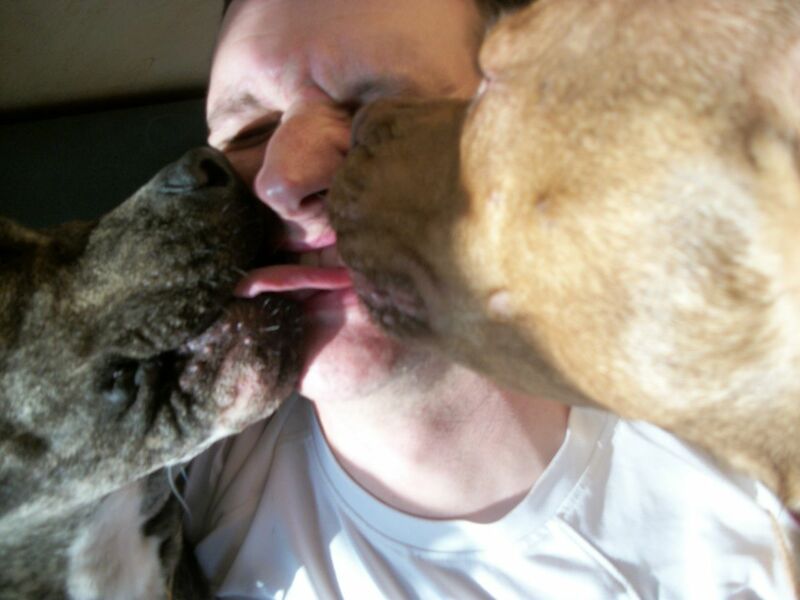 Nothing like big sloppy kisses! BOL! can't beat big wet sloppy kisses! Urrrgh! That's some serious tongue action there! Nothing like a little face washing with much love!